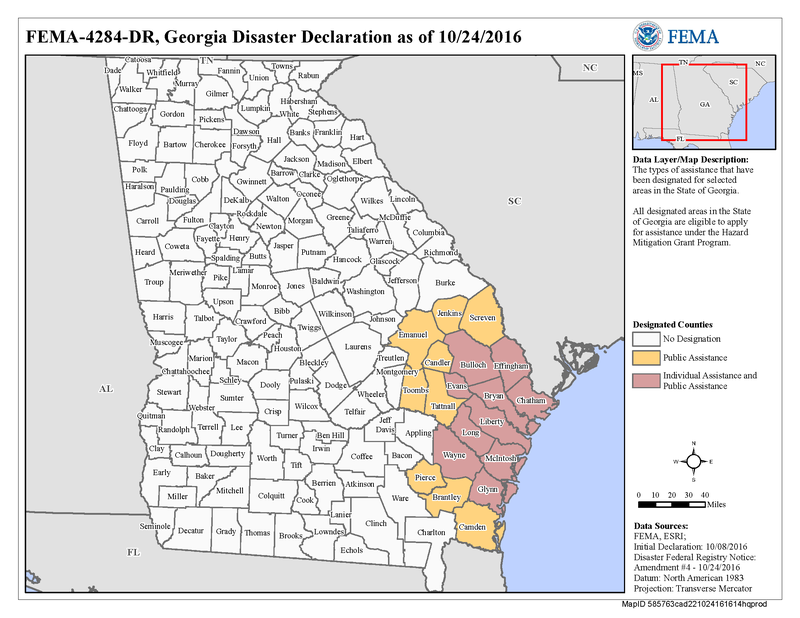 PRESS RELEASE // ATLANTA, GA – Homeowners, renters and business owners in Evans, Liberty and Long counties may apply for federal disaster assistance for Hurricane Matthew damage and losses in Georgia. In addition to the three counties now eligible to apply for assistance under FEMA’s Individual Assistance Program, seven counties had already received approval to apply for assistance, including Bryan, Bulloch, Chatham, Effingham, Glynn, McIntosh and Wayne. 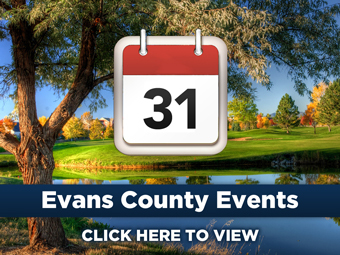 Damage and losses from the hurricane and flooding must have occurred Oct. 4-15. Call the FEMA Helpline at 800-621-3362 (FEMA). Persons who are deaf, hard of hearing or have a speech disability and use a TTY may call 800-462-7585. Toll-free numbers are open daily from 7 a.m. to 11 p.m.
People with disabilities are eligible to receive the same services and assistance offered to everyone in the declared disaster area, and FEMA is committed to ensuring those services are available. Survivors requiring a reasonable accommodation (American Sign Language interpreting, braille, assistive technology equipment, etc.) may call the appropriate helpline number for support. Help is available in most languages, and information on the registration process is available in ASL at http://www.fema.gov/media-library/assets/videos/111546. Survivors should contact their insurance company to file an insurance claim and register with FEMA even if they have insurance. FEMA cannot duplicate insurance payments, but underinsured applicants may receive help from FEMA after their claims have been settled. For updates on Georgia’s Hurricane Matthew response and recovery, follow @GeorgiaEMA and @FEMARegion4 on Twitter and visit gemhsa.ga.gov and fema.gov/disaster/4284.